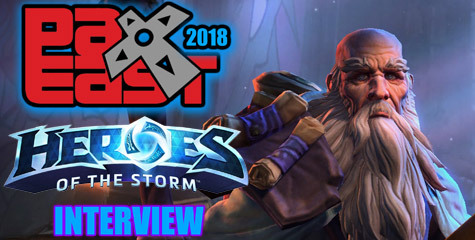 The latest Blizzard Insider # 45 contains an interview with Scott Mercer concerning the upcoming 10-man / 25-man raid dungeon: The Moshu’gan Vaults. It’s an epic dungeon filled with mystery, hard encounters that require lots of crowd control, and gosu rewards. The raid dungeon has three modes: Raid Finder (iLevel 476), Normal Mode (iLevel 489) and Heroic mode (iLevel 502). Before we dive into the details, can you give us a quick overview of the lore behind the Mogu’shan Vaults? How does the raid fit into larger story of Mists of Pandaria? Scott Mercer: The mogu are an ancient race of evil, ogre-like sorcerers who once dominated Pandaria. At some point in the distant past, all of the warring mogu factions were united by a single tyrannical warlord known as the Thunder King. The Thunder King rose to power the “the mogu way,” namely by eliminating his rivals one by one. According to legend he was able to accomplish this with the help of a mysterious artifact that he found in the depths of a mountain. After his rise to power, he built the Mogu’shan Vaults to contain and protect this secret, and converted the surrounding structure into a sort of shrine dedicated to the mogu empire. The complex houses many of the empire’s lost artifacts and is the resting place of the spirits of old mogu kings. Ion Hazzikostas: At the time Mists of Pandaria begins, the Thunder King is long gone and the mogu empire has crumbled into isolated factions. As great and powerful secrets are wont to do, the Vaults have attracted a number of interested parties, including Zandalari trolls who are trying to enter the Vaults to get at the ancient source of mogu power, which is the key to their tribe’s survival. When the players arrive, they join forces with a pandaren Loremaster who knows of a way into the Vaults. The Loremasters are a new faction dedicated to learning and retelling the oral history of Pandaria, so the Vaults are naturally a place of tremendous interest to them. What’s in store inside the Vaults from the gameplay side? Scott Mercer: We’re building an epic new raid that includes 10- and 25-player versions with both normal and Heroic modes, as well as another 25-player version available exclusively via the Raid Finder. The Vaults contain six encounters with a wide variety of mechanics. What kinds of encounters are planned for the Mogu’shan Vaults? The players’ characters are the first living beings to set foot inside the Mogu’shan Vaults in a few millennia,and the experience plays out as a classic “tomb raid” adventure, with mystical defenders and guardians emerging to protect the place’s secrets. In fact, the first boss encounter involves a pack of giant quilin — magical, lion-like stone constructs — that have stood motionless since the Vaults were sealed but awaken as fierce defenders once the players intrude upon their lair. The four quilin statues have different abilities based on the type of stone from which they were carved, and players will have to experiment to uncover their weaknesses. As players venture deeper into the Vaults, they’ll encounter other protectors, including a celestial dragon and the spirits of the mogu kings from ages past. Scott Mercer: It’s important to note, too, that the Thunder King doesn’t make a direct appearance in the Vaults, though his presence is certainly felt. His original source of power lies hidden deep within the Vaults, and the mogu have learned to use that power to create most of the guardians that the players fight in the Vaults. Observant players may even notice a certain “titanic” influence in lair’s defenses. What details can you share about the final boss encounter? Ion Hazzikostas: The core chamber of the Vaults contains an army of terracotta warriors that are built into recesses within the walls. If players look up, they’ll see these statue-filled niches stretching above them into the distance. When the players enter, the statues begin animating and attacking in huge waves, and the fight quickly turns into a free-for-all. There will be certain heavy-hitting statues that require tanking, and many of the other statues have special abilities to keep the non-tanks busy. It’s going to be a crazy fight that requires lots of crowd control. Scott Mercer: The encounter as a whole is known as the “Will of the Emperor,” and it represents the Vault’s last line of defense between the players and whatever mysterious power source originally allowed the Thunder King to rise to power. By the time players complete the raid, they should have a clear understanding of how the mogu were able to dominate Pandaria for so long. What design challenges have you encountered during the development of the raid so far? 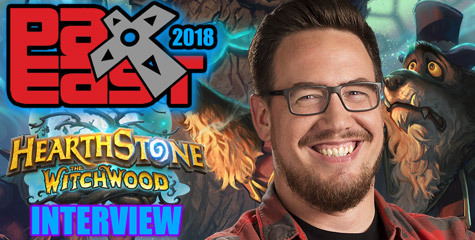 Ion Hazzikostas: In past raids, we’ve worked with a lot of the established races from Warcraft lore. For example, when we sit down to design a troll dungeon, we have a pretty clear idea of what that’s going to look like and what kinds of creatures the players are going to find there — you know, besides just trolls. Pandaria offered us a blank slate of sorts, as the continent has been alluded to in Warcraft lore, but we’ve never really fleshed out the details until now. Scott Mercer: This meant we’ve spent a lot of time and energy on building out what we call the “kit” for each of the expansion’s new races. A kit includes all kinds of things, from the armor and weapons used by the race to the architecture and environmental themes that go with the race. Part of the “kit” includes what kinds of monsters are found together; for example, the mogu are fond of using quilin statues as guardians, so those two monster types are often seen together. Our primary goal was to make sure the mogu felt visually and thematically distinct from the other Warcraft races, while still making sure they fit into the larger world of Azeroth. Establishing the kit for the mogu, and indeed all of Pandaria’s races, has been a fun challenge. Let’s talk loot! What rewards await players who are strong enough to take on the raid? Ion Hazzikostas: The raid rewards players with powerful epic items, depending on the difficulty setting: item level 476 for Raid Finder, 489 for normal mode, and 502 for Heroic. There’s also a new mount that can be obtained by defeating Elegon, a celestial dragon found deep within the Vaults. The mount looks a bit like the Celestial Steed, but in the form of a serpentine dragon. How does Mogu’shan Vaults fit into the larger raiding plan for Mists of Pandaria? 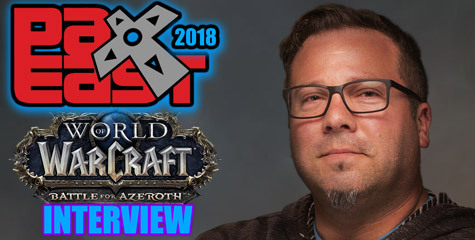 Scott Mercer: There will be two outdoor world bosses, along with the Mogu’shan Vaults raid instance, available when Mists of Pandaria first launches. One idea we’re considering is to delay opening Mogu’shan Vaults until a week or so after the expansion’s release, similar to how we’ve always handled the start of the PvP season, just to give players a little time to reach level 90 along with their friends and get acclimated to Pandaria’s new 5-player dungeons, daily quests, and scenarios. In any case, Mogu’shan Vaults is just the tip of the iceberg when it comes to the raid content we have lined up for Mists. Ion Hazzikostas: Mists of Pandaria will also include two other raid zones, which we plan to make available a few weeks after Mogu’shan Vaults: the Heart of the Fear and Terrace of Endless Spring. These two raids feature 10 bosses between the two of them and play out as a two-part story. In the first raid, the Heart of Fear, the players fight the mantid empress who has been possessed by the Sha of Fear. Sha, for those who don’t know, plague Pandaria as physical manifestations of negative emotions, like fear, doubt, and anger, and they tend to have a corrupting influence wherever they take root. When the players defeat the possessed empress, the Sha flees her body and hides elsewhere. In the Terrace of Endless Spring, the next raid instance, the players track down the fleeing Sha and finish it off. Both of these instances are a higher tier than the Mogu’shan Vaults and are designed to be tackled using gear obtained in the Vaults, which is why we plan to make them accessible a few weeks after the Vaults unlock. Scott Mercer: Yup, and all of this is just the raid content coming before our first major content update. We’ll be announcing even more raiding details in future when we start discussing patch 5.1. Thanks for your time.Is there anything else you’d like to share before you go? Ion Hazzikostas: I just wanted to say thanks to all of our beta testers. We’re very proud of our dungeon and raid content so far, and we’re looking forward to getting it all out there when Mists of Pandaria launches. Scott Mercer: Yeah, we have big plans for Pandaria’s encounters, and it’s great to see it all starting to come together. Keep the feedback coming!